‘What’s Couran Cove?’, I hear you ask. 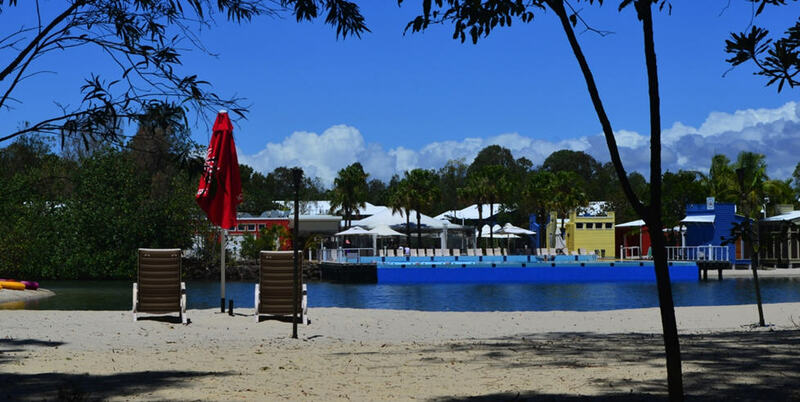 Added just last year as your newest Associate Resort, Ramada Couran Cove is in South Stradbroke Island – or Straddie, per the affectionate locals – located on the Gold Coast, QLD. Only accessible by ferry or air (like all the best resorts! ), Couran Cove is an eco-destination with a whole slew of activities up its sleeve. Try kayaking, fishing, play a spot of tennis, go wildlife spotting, hire a bike, enjoy putt-putt golf, and much, much more. We loved the whole concept of Couran Cove! How much do we love Couran Cove! …From the second we arrived we were astounded by one example of attention to detail after another. And the WOW factor still hasn’t diminished a bit. It all started by stepping off the ferry to be met by an attendant who loaded our luggage onto a trolley for us and then wheeled it to the reception desk. We then followed our luggage as we were escorted on to our room. …The grounds of the eco resort are extensive with the main marina and lagoon that has everything you may need from a restaurant and cafés. At poolside there is a very large children’s area and pool, separated from the adults’ pool by the island café. This much deeper heated pool overlooks the lagoons and the sandy beach nestled in the still waters, where you can organize the use of kayaks. 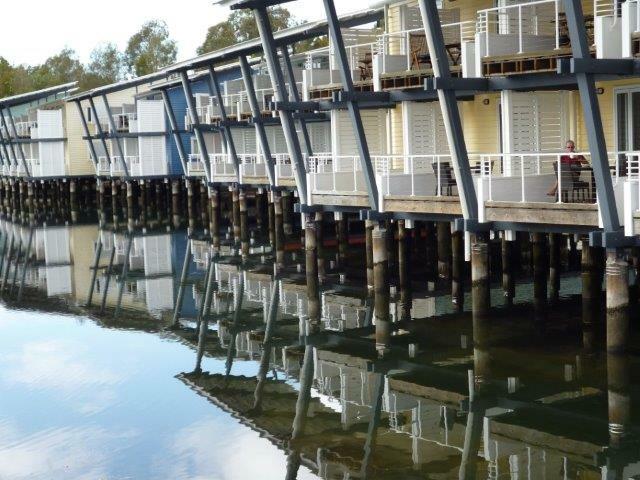 Have you holidayed in Couran Cove, or are planning a stay? Share your tips in a comment below! Want more? Extra pictures are available on Pinterest, and your Owner website contains full resort information. ← A special Fiji Christmas.